Area: 2 million sq. km. (736,000 sq. mi. ), about three times the size of Texas; maritime area: 7,900,000 sq. km. Cities: Capital: Jakarta (est. 9.7 million). Other cities — Surabaya 2.8 million, Medan 2.1 million, Bandung 2.4 million. Terrain: More than 17,500 islands; 6,000 are inhabited; 1,000 of which are permanently settled. Large islands consist of coastal plains with mountainous interiors. Climate: Equatorial but cooler in the highlands. Nationality: Noun and adjective — Indonesian(s). Population (2010 est. ): 237,6 million. Annual population growth rate (2010 est. ): 2.7%. Ethnic groups (2000 census): Javanese 40.6%, Sundanese 15%, Madurese 3.3%, Minangkabau 2.7%, others 38.4%. Religions (2000 census): Muslim 86.1%, Protestant 5.7%, Catholic 3%, Hindu 1.8%, others 3.4%. 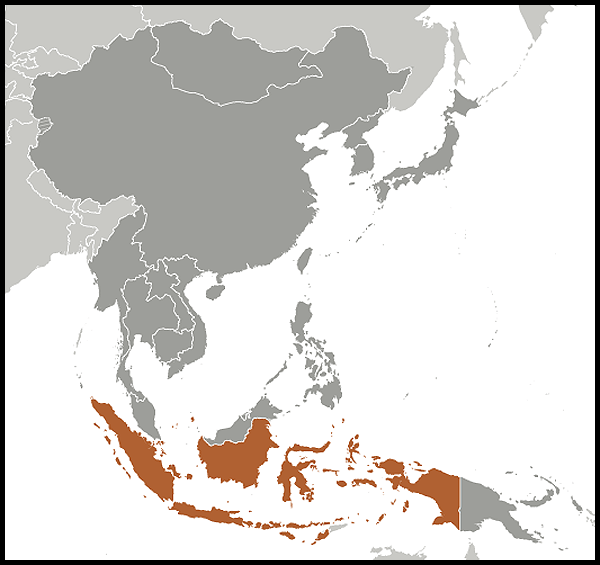 Languages: Indonesian (official), local languages, the most prevalent of which is Javanese. Education: Years compulsory: 9. Enrollment — 94.7% of eligible primary school-age children. Literacy — 98.3% (2010). Health: Infant mortality rate (2007): 34/1,000. Life expectancy at birth (2009 est.) — 70.76 years. Work force: 117.4 million (2011). Agriculture — 39.3%, industry — 20.9%, services — 47.8%. Independence: August 17, 1945 proclaimed. Constitution: 1945. Embodies five principles of the state philosophy, called Pancasila, namely monotheism, humanitarianism, national unity, representative democracy by consensus, and social justice. Suffrage: 17 years of age universal, and married persons regardless of age. GDP (2009): $539 billion; (2010): $707 billion; (2011 est. ): $834 billion. Inflation, end-period (2009): 2.8%; (2010): 7%; (2011): 3.79%. Per capita income (2011 est., PPP): $4,668.1. Natural resources (11.2% of GDP, 2010): Oil and gas, bauxite, silver, tin, copper, gold, coal. Agriculture (15.3% of GDP, 2010): Products — timber, rubber, rice, palm oil, coffee. Land — 17% cultivated. Manufacturing (24.8% of GDP, 2010): Garments, footwear, electronic goods, furniture, paper products, automobiles. Trade: Exports (2010): $158 billion including oil, natural gas, crude palm oil, coal, appliances, textiles, and rubber. Major export partners — Japan, U.S., China, Singapore, Malaysia, and Republic of Korea. Imports (2010) — $136 billion including oil and fuel, food, chemicals, capital goods, consumer goods, iron and steel. Major import partners — Singapore, China, Japan, U.S., Malaysia, Thailand, South Korea. Indonesia's approximately 237.6 million people make it the world's fourth-most populous nation. The island of Java, roughly the size of New York State, is the most populous island in the world (136.6 million, 2010 est.) and one of the most densely populated areas in the world. 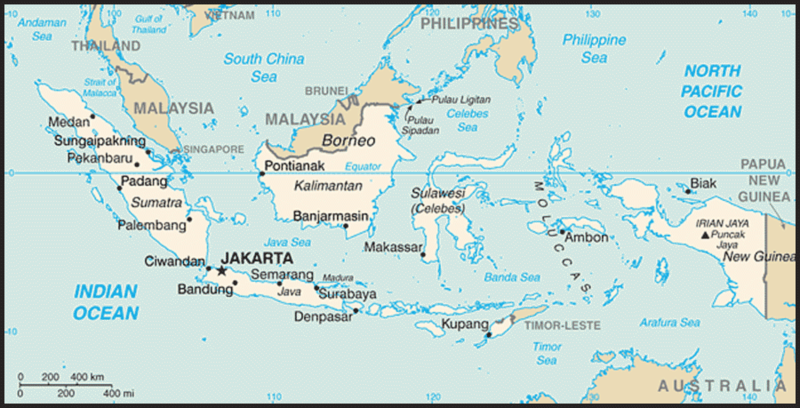 Indonesia includes numerous related but distinct cultural and linguistic groups, many of which are ethnically Malay. Since independence, Bahasa Indonesia (the national language, a form of Malay) has spread throughout the archipelago and has become the language of most written communication, education, government, business, and media. Local languages are still important in many areas, however. English is the most widely spoken foreign language. Education is compulsory for children through grade 9. In primary school, more than 94% of eligible children are enrolled whereas 57% of eligible children are enrolled in secondary school. Constitutional guarantees of religious freedom apply to the six religions recognized by the state, namely Islam (86.1%), Protestantism (5.7%), Catholicism (3%), Hinduism (1.8%), Buddhism (about 1%), and Confucianism (less than 1%). On the resort island of Bali, over 90% of the population practices Hinduism. In some remote areas, animism is still practiced. By the time of the Renaissance, the islands of Java and Sumatra had already enjoyed a 1,000-year heritage of advanced civilization spanning two major empires. During the 7th-14th centuries, the Buddhist kingdom of Srivijaya flourished on Sumatra. At its peak, the Srivijaya Empire reached as far as West Java and the Malay Peninsula. Also by the 14th century, the Hindu Kingdom of Majapahit had risen in eastern Java. Gadjah Mada, the empire's chief minister from 1331 to 1364, succeeded in gaining allegiance from most of what is now modern Indonesia and much of the Malay archipelago as well. Legacies from Gadjah Mada's time include a codification of law and an epic poem. Islam arrived in Indonesia sometime during the 12th century and supplanted Hinduism by the end of the 16th century in Java and Sumatra. Bali, however, remains overwhelmingly Hindu. In the eastern archipelago, both Christian and Islamic proselytizing took place in the 16th and 17th centuries, and, currently, there are large communities of both religions on these islands. Beginning in 1602, the Dutch slowly established themselves as rulers of Indonesia, exploiting the weakness of the small kingdoms that had replaced that of Majapahit. The only exception was East Timor, which remained under Portugal's control until 1975. During 300 years of rule, the Dutch developed the Netherlands East Indies into one of the world's richest colonial possessions, extracting natural resources through co-opted local elites but doing little to modernize Indonesia. During the first decade of the 20th century, an Indonesian independence movement began and expanded rapidly, particularly between the two World Wars. Its leaders came from a small group of young professionals and students, some of whom had been educated in the Netherlands. Many, including Indonesia's first president, Soekarno (1945-67), were imprisoned for political activities. During World War II, Japan invaded Indonesia (in early 1942), outclassing a combined American, British, Dutch, and Australian military command. Sizeable U.S. naval forces and smaller air and ground forces sent to defend Indonesia were defeated, with heavy losses in ships and large numbers of Americans killed or captured. The Japanese treated captured Allied troops and interned Western civilians with extreme cruelty. Because of local animosity toward Dutch colonial rule, there was no anti-Japanese guerilla movement as in the Philippines and Malaysia, and most Indonesians initially welcomed the Japanese as liberators. But increasingly harsh Japanese rule strengthened the prewar independence movement, and on August 17, 1945, 3 days after Japan's surrender to the Allies, a small group of Indonesians, led by Soekarno and Mohammad Hatta, proclaimed independence and established the Republic of Indonesia. They set up a provisional government and adopted a constitution to govern the republic until elections could be held and a new constitution written. Fighting soon broke out between Indonesian independence groups and Allied forces — mainly British, Indian, and Australian forces — sent to accept the Japanese surrender. Dutch efforts later to reestablish complete control met resistance. Following the Philippines' independence in 1946, the U.S. was unwilling to see the Netherlands use post-war Marshall Plan support to indirectly fund the suppression of Indonesia's independence. Negotiations and on-and-off fighting in Indonesia continued until 1949. The stalemate, combined with reduced international support and a devastated economy in the Netherlands, led to the Dutch decision to withdraw from Indonesia. Colonial rule and its violent end left a legacy in Indonesia of mistrusting foreign motives, especially those of large powers. In 1950, Indonesia became the 60th member of the United Nations. Shortly after hostilities with the Dutch ended in 1949, Indonesia adopted a new constitution, providing for a parliamentary system of government in which the executive was chosen by and accountable to parliament. Parliament was divided among many political parties before and after the country's first nationwide election in 1955, and stable governmental coalitions were difficult to achieve. The role of Islam in Indonesia was debated. Soekarno defended a secular state based on Pancasila, five principles of the state philosophy — monotheism, humanitarianism, national unity, representative democracy by consensus, and social justice — codified in the 1945 constitution, while some Muslim groups preferred either an Islamic state or a constitution that included a preambular provision requiring adherents of Islam to be subject to Islamic law. At the time of independence, the Dutch retained control over the western half of New Guinea (known as Irian Jaya in the Soekarno and Suharto eras and as Papua since 2000) and permitted steps toward self-government and independence. Negotiations with the Dutch on the incorporation of Irian Jaya into Indonesia failed, and armed clashes broke out between Indonesian and Dutch troops in 1961. In August 1962, the two sides reached an agreement, and Indonesia assumed administrative responsibility for Irian Jaya on May 1, 1963. The Indonesian Government conducted an "Act of Free Choice" in Irian Jaya under UN supervision in 1969 in which 1,025 Papuan representatives of local councils agreed by consensus to remain a part of Indonesia. A subsequent UN General Assembly resolution confirmed the transfer of sovereignty to Indonesia. Opposition to Indonesian administration of Papua gave rise to small-scale guerrilla activity in the years following Jakarta's assumption of control. In the more open atmosphere since 1998, there have been more explicit expressions within Papua calling for independence from Indonesia. Unsuccessful rebellions on Sumatra, Sulawesi, West Java, and other islands beginning in 1958, plus a failure by the constituent assembly to develop a new constitution, weakened the parliamentary system. Consequently, in 1959, when President Soekarno unilaterally revived the provisional 1945 constitution that provided for broad presidential powers, he met little resistance. From 1959 to 1965, President Soekarno imposed an authoritarian regime under the label of "Guided Democracy." Soekarno favored a foreign policy of nonalignment, a stance supported by other prominent leaders of former colonies who rejected formal alliances with either the West or Soviet bloc. Under Soekarno's auspices, these leaders gathered in Bandung, West Java, in 1955 to lay the groundwork for what became known as the Non-Aligned Movement. In the late 1950s and early 1960s, President Soekarno moved closer to Asian communist states and toward the Indonesian Communist Party (PKI) in domestic affairs. The PKI represented the largest communist party outside the Soviet Union and China. By 1965, the PKI controlled many of the mass civic and cultural organizations that Soekarno had established to mobilize support for his regime and, with Soekarno's acquiescence, embarked on a campaign to establish a "Fifth Column" by arming its supporters. Army leaders resisted this campaign. Under circumstances that have never been fully explained, on October 1, 1965, PKI sympathizers within the military, including elements from Soekarno's palace guard, occupied key locations in Jakarta and kidnapped and murdered six senior generals. Major General Suharto, the commander of the Army Strategic Reserve, rallied army troops opposed to the PKI to reestablish control over the city. Violence swept throughout Indonesia in the aftermath of the October 1 events, and unsettled conditions persisted through 1966. Right-wing groups killed tens of thousands of alleged communists in rural areas. Estimates of the number of deaths range between 160,000 and 500,000. The violence was especially brutal in Java and Bali. During this period, PKI members by the tens of thousands turned in their membership cards. The emotions and fears of instability created by this crisis persisted for many years as the communist party remains banned from Indonesia. Throughout the 1965-66 period, President Soekarno vainly attempted to restore his political stature and shift the country back to its pre-October 1965 position. Although he remained President, in March 1966, Soekarno transferred key political and military powers to General Suharto, who by that time had become head of the armed forces. In March 1967, the Provisional People's Consultative Assembly (MPRS) named General Suharto acting President. Soekarno ceased to be a political force and lived under virtual house arrest until his death in 1970. President Suharto proclaimed a "New Order" in Indonesian politics and dramatically shifted foreign and domestic policies away from the course set in Soekarno's final years. The New Order established economic rehabilitation and development as its primary goals and pursued its policies through an administrative structure dominated by the military but with advice from Western-educated economic experts. In 1968, the People's Consultative Assembly (MPR) formally selected Suharto to a full 5-year term as President, and he was reelected to successive 5-year terms in 1973, 1978, 1983, 1988, 1993, and 1998. In mid-1997, Indonesia suffered from the Asian financial and economic crisis, accompanied by the worst drought in 50 years and falling prices for commodity exports. As the exchange rate changed from a fixed to a managed float to fully floating, the rupiah (IDR or Rp) depreciated in value, inflation increased significantly, and capital flight accelerated. Demonstrators, initially led by students, called for Suharto's resignation. Amid widespread civil unrest, Suharto resigned on May 21, 1998, 3 months after the MPR had selected him for a seventh term. Suharto's hand-picked Vice President, B.J. Habibie, became Indonesia's third President. President Habibie reestablished International Monetary Fund (IMF) and donor community support for an economic stabilization program. He released several prominent political and labor prisoners, initiated investigations into the unrest, and lifted controls on the press, political parties, and labor unions. In January 1999, Habibie and the Indonesian Government agreed to a process, with UN involvement, under which the people of East Timor would be allowed to choose between autonomy and independence through a direct ballot held on August 30, 1999. Some 98% of registered voters cast their ballots, and 78.5% of the voters chose independence over continued integration with Indonesia. Many people were killed by Indonesian military forces and military-backed militias in a wave of violence and destruction after the announcement of the pro-independence vote. Indonesia's first elections in the post-Suharto period were held for the national, provincial, and sub-provincial parliaments on June 7, 1999. Forty-eight political parties participated in the elections. For the national parliament, Partai Demokrasi Indonesia Perjuangan (PDI-P, Indonesian Democratic Party of Struggle, led by Megawati Sukarnoputri) won 34% of the vote; Golkar ("Functional Groups" party) 22%; Partai Kebangkitan Bangsa (PKB, National Awakening Party, linked to the moderate Islamic organization Nadhlatul Ulama headed by former President Abdurrahman Wahid) 13%; and the conservative Islamic Partai Persatuan Pembangunan (PPP, United Development Party, led by Hamzah Haz) 11%. The MPR selected Abdurrahman Wahid as Indonesia's fourth President in November 1999 and replaced him with Megawati Sukarnoputri in July 2001. The constitution, as amended in the post-Suharto era, now provides for the direct election by popular vote of the president and vice president. Under the 2004 amendment, only parties or coalitions of parties that gained at least 3% of the House of Representatives (DPR) seats or 5% of the vote in national legislative elections were eligible to nominate a presidential and vice presidential ticket. The 2004 legislative elections took place on April 5 and were considered to be generally free and fair. Twenty-four parties took part in the elections. Big parties lost ground, while small parties gained larger shares of the vote. However, the two Suharto-era nationalist parties, PDI-P and Golkar, remained in the lead. PDI-P (opposition party during the Suharto era) lost its plurality in the House of Representatives, dropping from 33% to 18.5% of the total vote (and from 33% to 20% of the seats). The Golkar Party (Suharto's political party) declined slightly from 1999 levels, going from 22% to 21% of the national vote (from 26% to 23% of DPR seats). The third- and fourth-largest parties (by vote share) were two Islamic-oriented parties, the United Development Party (PPP) (8% of the votes, 10.5% of the seats) and National Awakening Party (PKB) (10.5% of the vote, 9.45% of the seats). Susilo Bambang Yudhoyono's nationalist Democratic Party (PD) won 7.45% of the national vote and 10% of the DPR seats, making it the fourth-largest party in the DPR. Seven of the 24 parties won no DPR seats; six won 1-2 seats, and the other six won between 2%-6% of the national vote (between 5-52 DPR seats). The first direct presidential election was held on July 5, 2004, contested by five tickets. As no candidate won at least 50% of the vote, a runoff election was held on September 20, 2004, between the top two candidates, President Megawati Sukarnoputri and retired General Susilo Bambang Yudhoyono. In this final round, Yudhoyono won 60.6% of the vote. Approximately 76.6% of the eligible voters participated, a total of roughly 117 million people, making Indonesia's presidential election the largest single-day election in the world. The Carter Center, which sent a delegation of election observers, issued a statement congratulating "the people and leaders of Indonesia for the successful conduct of the presidential election and the peaceful atmosphere that has prevailed throughout the ongoing democratic transition." In 2009, national legislative elections were held on April 9 and presidential elections were held in July. They were peaceful and considered free and fair. New electoral rules required that a party win 2.5% of the national vote in order to enter parliament. A total of thirty-eight national and six local (Aceh only) parties contested the 2009 legislative elections. At least 171 million voters registered to vote in these elections. Voter turnout was estimated to be 71% of the electorate. Nine parties won parliamentary seats in the House of Representatives (DPR). The top three winners were secular nationalist parties: President Yudhoyono's Partai Demokrat, with 20.85% of the vote; Vice President Jusuf Kalla's Golkar Party, 14.45%; and former president Megawati's opposition PDI-P party, with 14.03%. The next four largest parties were all Islamic-oriented parties: PKS, PAN (6%), PPP (5.3%), and PKB (4.9%). Only PKS maintained its 2004 vote share (7.88%); the other three declined in popularity. The smallest two parties in Parliament, Gerindra and Hanura, with 4.46 and 3.77% of the vote respectively, were headed by retired Suharto-era army generals Prabowo Subianto and Wiranto (one name only). The 2009 DPR members took their seats October 1. Also in 2009, the threshold was revised so that only parties or coalitions of parties that gained at least 20% of the House of Representatives (DPR) seats or 25% of the vote in the 2009 national legislative elections would be eligible to nominate a presidential and vice presidential ticket. Partai Demokrat, Golkar, and PDI-P parties, the top winners in the legislative elections, nominated presidential candidates. To win in one round, a presidential candidate was required to receive more than 50% of the vote and more than 20% of the vote in 17 of Indonesia's 33 provinces. If no candidate did so, the top two candidates would have competed in a second round in September 2009. Three tickets competed in the presidential elections. Incumbent President Yudhoyono and his running mate, non-partisan former Central Bank Chair and Economics Minister Boediono, won the election with such a significant plurality — 60.6% — that it obviated the need for a second round of elections. Main challenger and former president and opposition leader Megawati Sukarnoputri and running mate Prabowo Subianto trailed with 28%. Meanwhile, Vice President Jusuf Kalla and running mate Wiranto came in last at 12.7%. Indonesia's Consultative Assembly (MPR) inaugurated President Susilo Bambang Yudhoyono for his second term as president on October 20, 2009. Natural disasters have devastated many parts of Indonesia over the past few years. On December 26, 2004, a 9.1 to 9.3 magnitude earthquake took place in the Indian Ocean, and the resulting tsunami killed over 130,000 people in Aceh and left more than 500,000 homeless. On March 26, 2005, an 8.7 magnitude earthquake struck between Aceh and northern Sumatra, killing 905 people and displacing tens of thousands. After much media attention on the seismic activity on Mt. Merapi in April and May 2006, a 6.2 magnitude earthquake occurred 30 miles to the southwest. It killed more than 5,000 people and left an estimated 200,000 people homeless in the Yogyakarta region. An earthquake of 7.4 struck Tasikmalaya, West Java, on September 2, 2009, killing approximately 100 people. On September 30, 2009, a 7.6 magnitude earthquake struck Western Sumatra. No official statistics were released on deaths and injuries; however, press reports indicated more than 1,100 fatalities. Indonesia is a republic based on the 1945 constitution providing for a separation of executive, legislative, and judicial power. Substantial restructuring has occurred since President Suharto's resignation in 1998 and the short, transitional Habibie administration in 1998 and 1999. The Habibie government established political reform legislation that formally set up new rules for the electoral system, the House of Representatives (DPR), the People's Consultative Assembly (MPR), and political parties without changing the 1945 Indonesian constitution. After these reforms, the constitution now limits the president to two terms in office. Indonesia adopted a bicameral legislative system following the establishment of the DPD (Regional Representatives Council), which was first elected in 2004. The DPD is composed of four representatives from each of Indonesia's 33 provinces. Although it can make proposals and submit opinions on legislative matters concerning the regions, it does not have the power to create legislation. The MPR consists of both the DPD and the DPR. The MPR has the power to inaugurate and to impeach the president (upon the recommendation of the DPR). The current Speaker of the MPR is Taufik Kiemas (from the opposition PDI-P Party) and the Speaker of the DPR is Marzuki Alie (from the ruling Democrat Party). These speakers and four deputy speakers for the DPR and MPR took up their positions on October 5, 2009. The largest party in the DPR, now President Yudhoyono's Partai Demokrat, filled the influential DPR speaker position. The president, elected for a 5-year term, is the top government and political figure. The president and the vice president were elected by popular vote for the first time on September 20, 2004. Previously, the MPR selected Indonesia's president. In 1999, the MPR selected Abdurrahman Wahid, also known as Gus Dur, as the fourth President. The MPR removed Gus Dur in July 2001, immediately appointing then-Vice President Megawati Sukarnoputri as the fifth President. In 2004, Susilo Bambang Yudhoyono was directly elected to succeed Megawati. He was re-elected in 2009. The president, assisted by an appointed cabinet, has the authority to conduct the administration of the government. President Yudhoyono's Partai Demokrat (PD) holds 148 of the 560 seats in the House of Representatives (DPR), making it the largest political party represented in the legislature. Partai Demokrat has a coalition with Golkar and four Islam-oriented parties. The coalition holds a majority of the seats in the DPR. The People's Consultative Assembly (MPR) has 692 members, including 560 members of the DPR and the 132 representatives of the Council of Regional Representatives (DPD). Up to and through 2004, citizens elected legislators for the DPR and DPD, but their vote was based on a party list system. This ensured that the party elite, placed at the top of the party candidate lists, were voted into office. In 2009, a multi-member district "majority vote wins" system allowed voters for the first time to directly put a candidate who won a plurality of votes into office. Prior to 2004, some legislative seats had been reserved for representatives of the armed forces. The military has been a significant political force throughout Indonesian history, though it had ceded its formal political role by 2004. The armed forces shaped the political environment and provided leadership for Suharto's New Order from the time it came to power in the wake of the abortive 1965 uprising. Military officers, especially from the army, were key advisers to Suharto and Habibie and had considerable influence on policy. Under the dual function concept ("dwifungsi"), the military asserted a role in socio-political affairs. This concept was used to justify placement of officers in the civilian bureaucracy at all government levels and in regional and national legislatures. Although the military retains influence, the wide-ranging democratic reforms instituted since 1999 abolished "dwifungsi" and ended the armed forces' formal involvement in government administration. The police were separated from the military in 1999, further reducing the military's direct role in governmental matters. Control of the military by the democratically elected government has been strengthened. Reflecting historically independent sentiment, Hasan di Tiro established the Free Aceh Movement (Gerakan Aceh Merdeka, GAM) in December 1976 to seek independence for Aceh. Some 15,000 died in military conflict in Aceh over the following 3 decades. Through peace talks led by former Finnish President Martti Ahtisaari, a peace agreement between GAM and the Indonesian Government that provided wide-ranging autonomy for Aceh was signed on August 15, 2005. By December 2005, GAM declared that it had disbanded the military wing of its organization, and the Indonesian Government had withdrawn the bulk of its security forces down to agreed levels. On December 11, 2006, Aceh held gubernatorial and district administrative elections, the first truly democratic elections in over half a century in Aceh, resulting in the election of a former separatist leader as governor. In 2009, Aceh participated in the national legislative and presidential elections and elected its own provincial legislature. The embassy (http://www.embassyofindonesia.org/) of Indonesia is at 2020 Massachusetts Avenue NW, Washington, DC 20036 (tel. 202-775-5200-5207; fax: 202-775-5365). Consulates General are in New York (5 East 68th Street, New York, NY 10021, tel. 212-879-0600/0615; fax: 212-570-6206); Los Angeles (3457 Wilshire Blvd., Los Angeles, CA 90010; tel. 213-383-5126; fax: 213-487-3971); Houston (10900 Richmond Ave., Houston, TX 77042; tel. 713-785-1691; fax: 713-780-9644). Consulates are in San Francisco (1111 Columbus Avenue, San Francisco, CA 94133; tel. 415-474-9571; fax: 415-441-4320); and Chicago (2 Illinois Center, Suite 1422233 N. Michigan Avenue, Chicago, IL 60601; tel. 312-938-0101/4; 312-938-0311/0312; fax: 312-938-3148). Indonesia has a market-based economy in which the government plays a significant role. There are 141 state-owned enterprises, and the government administers prices on several basic goods, including fuel, rice, and electricity. In the mid-1980s, the government began eliminating regulatory obstacles to economic activity. The steps were aimed primarily at the external and financial sectors and were designed to stimulate employment and growth in the non-oil export sector. Annual real gross domestic product (GDP) growth averaged nearly 7% from 1987-97 and most analysts recognized Indonesia as a newly industrializing economy and emerging major market. 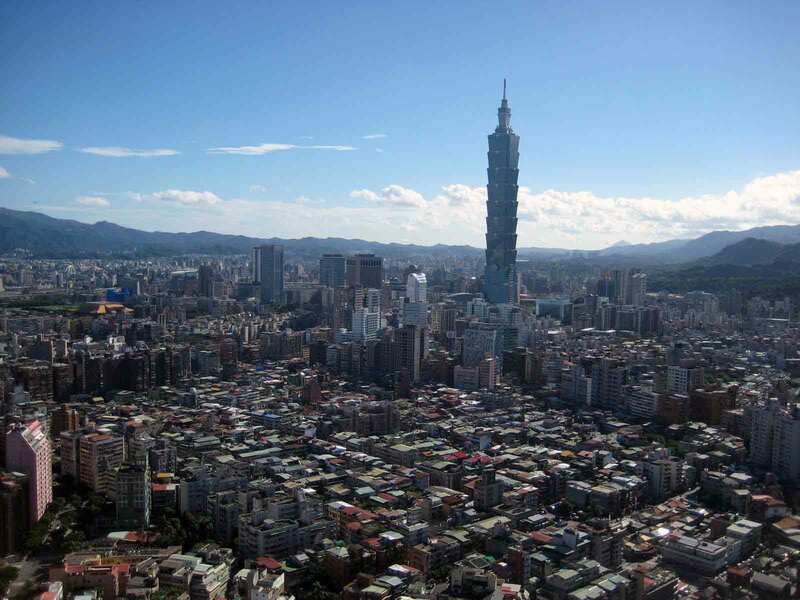 The Asian financial crisis of 1997 altered the region's economic landscape. With the depreciation of the Thai currency, the foreign investment community quickly reevaluated its investments in Asia. Foreign investors dumped assets and investments in Asia, leaving Indonesia the most affected in the region. In 1998, Indonesia experienced a negative GDP growth of 13.1% and unemployment rose to 15%-20%. In the aftermath of the 1997-98 financial crisis, the government took custody of a significant portion of private sector assets via debt restructuring, but subsequently sold most of these assets, averaging a 29% return. Indonesia has since recovered, albeit more slowly than some of its neighbors, by recapitalizing its banking sector, improving oversight of capital markets, and taking steps to stimulate growth and investment, particularly in infrastructure. GDP growth steadily rose in the following decade, achieving real growth of 6.3% in 2007 and 6.1% growth in 2008. Although growth slowed to 4.5% in 2009 given reduced global demand, Indonesia was the third-fastest growing G-20 member, trailing only China and India. Growth rebounded in 2010 to 6.1% and is forecast to have reached 6.2%-6.5% in 2011. Poverty and unemployment have also declined despite the global financial crisis, with the poverty rate falling to 12,5% (March 2011) from 13.3% a year earlier and the unemployment rate falling to 6.6% (February 2011) from 6.8% a year earlier. Indonesia's improving growth prospects and sound macroeconomic policy have many analysts suggesting that it will become the newest member of the "BRIC" grouping of leading emerging markets. In December 2011, Fitch Ratings upgraded Indonesia's sovereign debt rating to investment grade. A similar upgrade to investment grade is expected from Standard and Poor's and Moody's. In reaction to global financial turmoil and economic slowdown in late 2008, the government moved quickly to improve liquidity, secure alternative financing to fund an expansionary budget and secure passage of a fiscal stimulus program worth more than $6 billion. Key actions to stabilize financial markets included increasing the deposit insurance guarantee twentyfold, to IDR 2 billion (about U.S. $235,000); reducing bank reserve requirements; and introducing new foreign exchange regulations requiring documentation for foreign exchange purchases exceeding U.S. $100,000/month. As a G-20 member, Indonesia has taken an active role in the G-20 coordinated response to the global economic crisis. Economic Policy: After he took office on October 20, 2004, President Yudhoyono moved quickly to implement a "pro-growth, pro-poor, pro-employment" economic program, which he has continued in his second term. The State Ministry of National Development Planning (BAPPENAS) released a Medium-Term Development Plan for 2010-2014 focused on development of a "prosperous, democratic and just" Indonesia. The Medium-Term Development Plan targets average economic growth of 6.3%-6.8% for the period, reaching 7% or above by 2014, unemployment of 5%-6% by the end of 2014, and a poverty rate of 8%-10% by the end of 2014. President Yudhoyono's economic team in his second administration is led by Coordinating Minister for Economic Affairs Hatta Rajasa. Sri Mulyani Indrawati continued as Finance Minister until May 2010, when she resigned to take a senior position at the World Bank. She was succeeded by Agus Martowardojo, a well-respected banker who had led Indonesia's largest state-owned bank. In July 2010, Indonesia's DPR Commission XI approved the appointment of Darmin Nasution as Governor of Bank Indonesia, following a 14-month vacancy of the position after former Governor Boediono stepped down to become Yudhoyono's running mate. In May 2010, President Yudhoyono established a National Economic Committee to provide strategic recommendations to accelerate national economic development and a National Innovation Committee to provide input and recommendations to increase national productivity, create a culture of innovation, and speed up economic growth. In May 2011, President Susilo Bambang Yudhoyono launched the Master Plan for the Acceleration and Expansion of Indonesia's Economic Development (MP3EI), to increase infrastructure and investment spending and to provide a roadmap for Indonesia to move up the value-chain and increase the level of innovation. The plan outlines Rp 4,000 trillion ($ 468.5 billion) in potential infrastructure projects in multiple sectors including hydroelectric and solar power, palm oil, new roads including toll motorways, mining , expansion of broadband internet, and nickel, cobalt and aluminum factories. Indonesia's overall macroeconomic picture is stable. By 2004, real GDP per capita returned to pre-financial crisis levels and income levels are rising. In 2010, domestic consumption continued to account for the largest portion of GDP, at 56.7%, followed by investment at 32.2%, government consumption at 9.1%, and net exports at 1.6%. Domestic consumption has been the main growth driver from the expenditure side during the last half century while government consumption has hovered between 5-10% of GDP for most of that time. In 2010, Indonesia has seen an increase in manufacturing output and exports, with relatively cheap labor and a complementary large and growing domestic market. Exports of natural resources, such as oil and gas, coal and crude palm oil (CPO) have made up around 50% of Indonesia's exports and have been key drivers of growth. With the share of total exports to fast-growing emerging markets increasing and demand for commodities likely sustainable, export growth is likely to remain buoyant. In contrast, imports may grow even faster with infrastructure development andstrong domestic demand growth. ,. Net exports will likely continue to diminish and, with higher net income outflows (the counterpart to large portfolio inflows), it is expected the current account will eventually shift into deficit in the medium term. Following a significant run-up in global energy prices in 2007-2008, the Indonesian Government raised fuel prices by an average of 29% on May 24, 2008 in an effort to reduce its fuel subsidy burden. Energy subsidies had been allocated Rp 223 trillion ($23 billion) in 2008, or 5.6% of GDP. The fuel price hikes, along with rising food prices, led consumer price inflation to a peak of 12.1% in September 2008. To help its citizens cope with higher fuel and food prices, the Indonesian Government implemented a direct cash compensation package for low-income families through February 2009 and an extra range of benefits including an expanded subsidized rice program and additional subsidies aimed at increasing food production. Citing high opportunity costs and poor targeting, the government has continued to signal its intent to reform subsidies. They plan to prohibit private cars from consuming subsidized fuels in Java and Bali beginning April 1, 2012. By 2015, the policy is expected to be implemented nationwide. Banking Sector: Indonesia has 120 commercial banks (October 2011), of which 10 are majority foreign-owned and 28 are foreign joint venture banks while the number of bank branches has continuously increased from 6,397 in 2000 to 14,510 in 2011. The top 10 banks control about 62.4% of assets in the sector. Four state-owned banks (Bank Mandiri, BNI, BRI, BTN) control about 34.8% of assets (September 2011). The Indonesian central bank, Bank Indonesia (BI), announced plans in January 2005 to strengthen the banking sector by encouraging consolidation and improving prudential banking and supervision. BI hoped to encourage small banks with less than Rp 100 billion (about U.S. $11 million) in capital to either raise more capital or merge with healthier "anchor banks" before end-2010, announcing the criteria for anchor banks in July 2005. In October 2006, BI announced a single presence policy to further prompt consolidation. The policy stipulated that a single party could own a controlling interest in only one banking organization; exceptions would be granted in controlling two banks that do business under different principles, such as commercial and sharia, or one of which is a joint venture bank. Controlling interest is defined as 25% or more of total outstanding shares or having direct or indirect control of the institution. BI has started to move toward Basel II standards in 2011, which focus on advancing other aspects of the Indonesian Banking Architecture (IBA) and has improved operations of its credit bureau to centralize data on borrowers. The IBA is a joint effort between BI, the Capital Market and Financial Institution Supervisory Board (BAPEPAM-LK), and the Ministry of Finance that was launched in 2004. A cornerstone program of the IBA is the structural reinforcement of the national banking system, aimed at building stronger capitalization for commercial banks to underpin its expansion and accelerate the required consolidation process among Indonesia's 120+ banks. Another important banking sector reform was the decision to eliminate the blanket guarantee on bank third-party liabilities. BI and the Indonesian Government completed the process of replacing the blanket guarantee with a deposit insurance scheme run by the independent Indonesian Deposit Insurance Agency (also known by its Indonesian acronym, LPS) in March 2007. The removal of the blanket guarantee did not produce significant deposit outflows from or among Indonesian banks. Sharia banking has grown in Indonesia in recent years, but represented only 3.7% of the banking sector, about $14.4 billion in assets as of October 2011. In October 2011, Indonesia has a new regulator to oversee a growing financial industry. The new regulator, Financial Services Supervisory Authority (OJK), will take over the supervision of banks, brokerages and insurance firms from the central bank (BI) and the capital market watchdog BAPEPAM-LK. By early 2013, OJK will have the power to supervise capital markets and non-banking institutions, while the oversight of commercial banks will start from 2014. Exports and Trade: Indonesia's exports were $158 billion in 2010, a rise of 35% from $116.5 billion in 2009. The largest export commodities for 2010 were oil and gas (17.8%), minerals (14.9%), textile and footwear (8.9%), crude palm oil (8.54%), electrical appliances (8.2%), and rubber products (4.7%). The top destinations for exports for 2010 were Japan (16.3%), China (11.6%), the U.S. (11.1%), Singapore (8.5%), and Korea (8.3%). Meanwhile, total imports in 2010 were $136 billion, up from $96.83 billion in 2009. Indonesia is currently our 28th-largest goods trading partner with $23.4 billion in total (two-way) goods trade during 2010. The U.S. trade deficit with Indonesia totaled $9.5 billion in 2010 ($6.9 billion in exports versus $16.5 billion in imports). Oil and Minerals Sector: Indonesia left the Organization of Petroleum Exporting Countries (OPEC) in 2008, as it had been a net petroleum importer since 2004. Crude and condensate output averaged 944,000 barrels per day (bpd) in 2010, down slightly from 948,000 in 2009. In 2010, the oil and gas sector is estimated to have contributed $23.3 billion to government revenues, or 20.9% of the total. U.S. companies have invested heavily in the petroleum sector. Indonesia ranked third in world liquefied natural gas (LNG) exports production in 2010. Indonesia's oil, oil products, and gasturned positive in 2009 with a $29.4 million surplus, but have been negative since with a 2010 oil and gas trade deficit of $627 million and a deficit of$602 million deficit Jan-Nov 2011. Indonesia has a wide range of mineral deposits and production, including bauxite, silver, and tin, copper, nickel, gold, and coal. Although the coal sector was open to foreign investment in the 1990s through coal contracts of work, new investment was closed again after 2000. A new mining law, passed in December 2008, opened coal to foreign investment again, although it eliminated the difference between foreign and domestic ownership structures. Total coal production reached 255 million metric tons in 2010, including exports of 198 million tons. Two U.S. firms operate two copper/gold mines in Indonesia, with a Canadian and a U.K. firm holding significant investments in nickel and gold, respectively. Although coal production has increased dramatically over the past 10 years, the number of new metals mines has declined. This decline does not reflect Indonesia's mineral prospects, which are high; rather, the decline reflects earlier uncertainty over mining laws and regulations, low competitiveness in the tax and royalty system, and investor concerns over divestment policies and the sanctity of contracts. In early 2010, the Government of Indonesia also formally decided to become a candidate country of the Extractive Industries Transparency Initiative (EITI), which will increase accountability and transparency in energy revenue transactions between the government and oil, gas, and mining firms. Investment: President Yudhoyono and his economic ministers have stated repeatedly their intention to improve the climate for private sector investment to raise the level of GDP growth and reduce unemployment. However, in addition to general corruption and legal uncertainty, businesses have cited a number of specific factors that have reduced the competitiveness of Indonesia's investment climate, including: corrupt and inefficient customs services; non-transparent and arbitrary tax administration; inflexible labor markets that have reduced Indonesia's advantage in labor-intensive manufacturing; increasing infrastructure bottlenecks; and uncompetitive investment laws and regulations. In each of the past three years, the Government of Indonesia has announced a series of economic policy packages aimed at stimulating investment and infrastructure improvements and implementing regulatory reform. A new investment law was enacted in 2007, which contains provisions to restrict the share of foreign ownership in a range of industries. The 2010 iteration of the negative investment list includes long-awaited legal clarifications alongside limited liberalization. The clarifications include a continuous review of closed sectors for increased market access. The decree confirms that investment restrictions do not apply retroactively unless the new provisions are more beneficial to the investor. The changes also clarify that capital investments in publicly listed companies through the stock exchange are not subject to Indonesia's negative list unless an investor is buying a controlling interest. In 2010, the Overseas Private Investment Corporation (OPIC) updated its 1967 investment support agreement between the United States and Indonesia by adding OPIC products such as direct loans, coinsurance, and reinsurance to the means of OPIC support which U.S. companies may use to invest in Indonesia. Over its 39-year history OPIC had committed more than $2.1 billion in financing and political risk insurance to 111 projects in Indonesia. Currently, OPIC is providing more than $75 million in support to seven projects in Indonesia in the energy, manufacturing, and services sectors and is also now supporting several new renewable resources/clean tech investment funds that are privately-managed and can look to invest in commercially-attractive projects in Indonesia. On September 2, 2008, the DPR passed long-awaited tax reform legislation. The legislation reduced corporate and personal income tax rates as of January 1, 2009. Corporate income tax rates fell from 30% to 28% in 2009 and to 25% in 2010, with additional reductions for small and medium enterprises and publicly listed companies. The legislation raises the taxable income threshold for individuals, cuts the maximum personal income tax from 35% to 30%, and provides lower marginal personal income tax rates across four income categories. Taxes on dividends also fell from a maximum of 20% to a maximum of 10%. Long-planned labor reforms have been delayed. The passage of a new copyright law in July 2002 and accompanying optical disc regulations in 2004 greatly strengthened Indonesia's intellectual property rights (IPR) regime. Despite the government's significantly expanded efforts to improve enforcement, IPR piracy remains a major concern to U.S. intellectual property holders and foreign investors, particularly in the high-technology sector. In March 2006, President Yudhoyono issued a decree establishing a National Task Force for IPR Violation Prevention. The IPR Task Force was intended to formulate national policy to prevent IPR violations and determine additional resources needed for prevention, as well as to help educate the public through various activities and improve bilateral, regional, and multilateral cooperation to prevent IPR violations. It has yet to fully realize these aims. In 2007, Indonesia was removed from the U.S. Trade Representative's "Priority Watch" list and placed on the "Watch" list. However, Indonesia was raised back to the Priority Watch List in 2009 due to an overall deterioration of the climate for IPR protection and enforcement and some concerns over market access barriers for IP products. There have not been signs of improvement in recent years. Amendments to the copyright and patent laws are scheduled to be discussed by Parliament in 2012. Environment: President Yudhoyono's administration has significantly increased Indonesia's global profile on environmental issues, and U.S.-Indonesia cooperation on the environment has grown substantially. Indonesia is particularly vulnerable to the effects of climate change, which include rising sea levels and erosion of coastal areas, increased frequency and intensity of extreme weather events, species extinction, and the spread of vector-borne diseases. At the same time, Indonesia faces challenges in addressing the causes of climate change. Indonesia has the world's second-largest tropical forest and the fastest deforestation rate, making it the third-largest contributor of greenhouse gas emissions, behind China and the U.S. President Yudhoyono pledged at the 2009 G-20 in Pittsburgh to reduce Indonesia's greenhouse gas emissions by up to 41% below business as usual by 2020, in addition to eliminating fossil fuel subsidies. Indonesia continues expanding its constructive engagement in Southeast Asia, within the G-20 and Major Economies Forum, and in other international bodies to encourage other developing countries to adopt and implement ambitious steps to reduce the impacts of global climate change. In June 2010, President Barack Obama pledged to support U.S.-Indonesia shared goals on climate change through a Science, Oceans, Land Use, Society and Innovation (SOLUSI) partnership and through the establishment of a climate change center. The United States is providing $6.9 million in support — with matching funds from Norway — for the new Indonesia Climate Change Center (ICCC), which will focus on mapping and monitoring of carbon-rich peat lands and tropical forests with expertise from the U.S. Forest Service, bringing the best available science and analysis to policy leaders on key strategies and decisions to mitigate and adapt to climate change. In 2004, President Yudhoyono initiated a multi-agency drive against illegal logging that has significantly decreased illegal logging through stronger enforcement activities. The Department of Justice-sponsored Environmental Crimes Task Force supports this enforcement effort. The State Department and the U.S. Trade Representative negotiated with the Indonesian Ministries of Trade and Forestry the U.S. Government's first Memorandum of Understanding on Combating Illegal Logging and Associated Trade. Presidents George W. Bush and Yudhoyono announced the MOU during President Bush's November 2006 visit to Indonesia. Implementation of the MOU includes collaboration on sustainable forest management, improved law enforcement, and improved markets for legally harvested timber products. This effort will strengthen the enabling conditions for avoiding deforestation, specifically addressing the trade issues that are involved. The U.S. Government also contributed to the start of the Heart of Borneo conservation initiative to conserve a high-biodiversity, transboundary area that includes parts of Indonesia, Malaysia, and Brunei. The three countries launched the Heart of Borneo initiative in February 2007. In 2009, the Governments of Indonesia and the U.S. concluded a Tropical Forest Conservation Act (TFCA1) agreement, and in 2012 are expected to finalize a new TFCA2 agreement. The agreements reduce Indonesia's debt payments to the U.S. over the next 10 years; these funds will be redirected toward tropical forest conservation in Indonesia. Through the recently signed Millennium Challenge Corporation (MCC) Compact for Indonesia, the Government of Indonesia will implement a Green Prosperity Project totaling $332.5 million to support environmentally sustainable economic growth through enhancing management of forests, peat lands, and other natural resources and deployment of renewable energy. In June 2011, the U.S. Environmental Protection Agency (EPA) and Indonesia's Ministry of Environment signed an MOU, expanding environmental cooperation and formalizing cooperation on the "Breathe Easy, Jakarta" initiative to improve air quality and protect public health. Indonesia has the world's greatest repository of marine biological resources and is one of the most important fisheries. It lies at the epicenter of the Coral Triangle, covering just 3 percent of the globe but containing more than half the world's reefs and three-quarters of all known coral species. Fisheries generate some 20 percent of Indonesia's GDP, and over 60 percent of the nation's protein comes from the sea. The number of coastal fishers in Indonesia has increased by over 40 percent in the last 10 years. President Yudhoyono called for a Coral Triangle Initiative (CTI) in August 2007. The Coral Triangle Initiative is a regional plan of action to enhance coral conservation, promote sustainable fisheries, and ensure food security in the face of climate change. In December 2007, the U.S. Government announced its support for the six CTI nations (Indonesia, Malaysia, Philippines, Timor-Leste, Papua New Guinea, and Solomon Islands), and to date the United States is the largest bilateral donor to the CTI. Indonesia hosted the first-ever World Oceans Conference in Manado, North Sulawesi, May 11-15, 2009. The World Oceans Conference was also the venue for the Coral Triangle Initiative Summit, at which leaders from the six CTI nations launched the CTI Regional Plan of Action. U.S. support to Indonesia's globally important marine resources includes USAID's five year $35 million Marine Resources Program, partnerships on ocean research and exploration, and maritime law enforcement capacity-building. From June to August 2010, the National Oceanic and Atmospheric Administration (NOAA) research vessel Okeanos Explorer and the Indonesian Baruna Jaya research fleet made a pioneering joint mission to the "Coral Triangle" in the Indo-Pacific region. NOAA works actively with Indonesian marine scientists on research and capacity-building efforts, including developing tsunami early detection systems, deploying ocean instruments that allow scientists to predict long-term climate change, exploring uncharted deepwater habitats, and anticipating and monitoring outbreaks of harmful toxins affecting our food sources. The United States and Indonesia are also working with private sector partners to develop sustainable alternative business models to improve food security and increase incomes in economically disadvantaged coastal communities. During the early 1960s under Soekarno, Indonesia pursued a policy of "Konfrontasi" toward newly independent Malaysia, characterized by small-scale but bitter fighting against forces sent to defend Malaysian Borneo. Since the late 1960s Indonesia has had peaceful relations with its neighbors. Without a credible external threat in the region, the military historically viewed its primary mission as assuring internal security. The Indonesian National Police, which had been a branch of the armed forces for many years, was formally separated from the military in April 1999, a process that was completed in July 2000. With 250,000 personnel, the police represent a much smaller portion of the population than in most nations. The police play a central role in responding to the internal threat posed by militant extremists and have seen considerable success in apprehending terrorist suspects. Indonesia's armed forces (Tentara Nasional Indonesia, or TNI) total approximately 350,000 members, including the army, navy, marines, and air force. The army is the largest branch with about 280,000 active-duty personnel. Defense spending in the national budget accounts for 1.8% of GDP, but is supplemented by revenue from many military businesses and foundations. Military leaders have said that they wish to transform the military into a professional, external security force, providing domestic support to civilian security forces as necessary. However, given current levels of training, maintenance, and expertise the TNI would not prevail against a modern, determined, and even smaller opponent. The military historically maintained a prominent role in the nation's political and social affairs. A significant number of cabinet members have had military backgrounds, while active duty and retired military personnel occupied a large number of seats in the parliament. Commanders of the various territorial commands played influential roles in the affairs of their respective regions. The October 2004 inauguration of the national parliament ended the military's formal political role but not its political influence. Since independence in 1945, Indonesia has espoused a "free and active" foreign policy, seeking to play a role in regional affairs commensurate with its size and location but avoiding involvement in conflicts among major powers. Indonesian foreign policy under the "New Order" government of President Suharto moved away from the stridently anti-Western, anti-American posturing that characterized the latter part of the Soekarno era. Following Suharto's ouster in 1998, Indonesia's Presidents have preserved the broad outlines of Suharto's independent, moderate foreign policy. The traumatic separation of East Timor from Indonesia after an August 1999 East Timor referendum, and subsequent events in East Timor (now Timor-Leste) and West Timor, strained Indonesia's relations with the international community. A cornerstone of Indonesia's contemporary foreign policy is its participation in the Association of Southeast Asian Nations (ASEAN), of which it was a founding member in 1967 with Thailand, Malaysia, Singapore, and the Philippines. Since then, Brunei, Vietnam, Laos, Burma, and Cambodia also have joined ASEAN. While organized to promote common economic, social, and cultural goals, ASEAN acquired a security dimension after Vietnam's invasion of Cambodia in 1979. The security policy aspect of ASEAN expanded with the establishment of the ASEAN Regional Forum in 1994, in which 22 countries participate, including the United States. Indonesia also was one of the founders of the Non-Aligned Movement (NAM) and has taken moderate positions in its councils. As NAM Chairman in 1992-95, Indonesia led NAM positions away from the rhetoric of North-South confrontation, advocating instead the broadening of North-South cooperation in the area of development. In May 2005, the Yudhoyono administration, in a major effort to reinvigorate its leadership of the NAM and reset the movement's future course, hosted an Asia-Africa Summit to commemorate the 50th anniversary of the founding of the NAM in Bandung, Indonesia in 1955. Indonesia continues to be a prominent leader of the Non-Aligned Movement, and hosted the NAM Ministerial meeting in 2011. Indonesia sees itself as a bridge-builder between the West and foreign policy views of the NAM and Group of 77 (G-77) that are contrary to those of the United States. While not an Islamic state, Indonesia has the world's largest Muslim population and is a member of the Organization of the Islamic Conference (OIC). It carefully considers the interests of Islamic solidarity in its foreign policy decisions while providing a moderating influence in the OIC. President Wahid, for example, pursued better relations with Israel; Foreign Minister Noer Hassan Wirajuda participated in the November 2007 Middle East peace conference in Annapolis. After Soekarno's fall from power in 1966, Indonesia welcomed and maintained close relations with the donor community, particularly the United States, Western Europe, Australia, and Japan, through the Intergovernmental Group on Indonesia (IGGI) and its successor, the Consultative Group on Indonesia (CGI), which have provided substantial foreign economic assistance. Indonesia has been a strong supporter of the Asia-Pacific Economic Cooperation (APEC) forum. Largely through the efforts of President Suharto at the 1994 meeting in Bogor, Indonesia, APEC members agreed to implement free trade in the region by 2010 for industrialized economies and 2020 for developing economies. In 2008, Indonesia finalized its Economic Partnership Agreement (EPA) with Japan, a significant trade partner and Indonesia's biggest foreign investor. The agreement is Indonesia's first bilateral free trade deal and exempts Indonesia from 90% of Japanese import duties. President Yudhoyono has sought a higher international profile for Indonesia. In March 2006, Yudhoyono traveled to Burma to discuss democratic reform and visited several Middle Eastern countries in April and May 2006. Yudhoyono delivered a major speech in Saudi Arabia, encouraging the Muslim world to embrace globalization and technology for greater social and economic progress. In November 2006, Indonesia sent about 1,000 peacekeeping troops to southern Lebanon to be part of the UN Interim Force in Lebanon (UNIFIL) and replaced those troops with a second contingent a year later. In 2007 and 2008, Indonesia held a non-permanent seat on the UN Security Council. President Yudhoyono has also developed strategic partnerships with several countries, including the Netherlands. The United States has important economic, commercial, and security interests in Indonesia. The country remains a linchpin of regional security due to its strategic location astride a number of key international maritime straits, particularly the Malacca Strait. Relations between Indonesia and the U.S. are positive and have advanced since the election of President Yudhoyono in October 2004. The U.S. played a role in Indonesian independence in the late 1940s and appreciated Indonesia's role as an anti-communist bulwark after Soekarno during the Cold War. Cooperative relations are maintained today, although no formal security treaties bind the two countries. The United States and Indonesia share the common goal of maintaining peace, security, and stability in the region and engaging in a dialogue on threats to regional security. Cooperation between the U.S. and Indonesia on counterterrorism has increased steadily since 2002, as terrorist attacks in Bali (October 2002 and October 2005), Jakarta (August 2003 and September 2004), and other regional locations demonstrated the presence of terrorist organizations in Indonesia. The United States has welcomed Indonesia's contributions to regional security, especially its leading role in helping restore democracy in Cambodia, mediating a territorial dispute between Thailand and Cambodia, and mediating territorial disputes in the South China Sea. In November 2008, President Yudhoyono suggested the U.S. and Indonesia work together to build a comprehensive partnership. Secretary of State Hillary Clinton's February 2009 visit to Indonesia helped move that partnership forward in a number of key areas. Since her visit, bilateral cooperation on education, climate change, science and technology, health, and other issues has continued to progress. President Obama launched the U.S.-Indonesia Comprehensive Partnership in November 2010. On Novmber 19, 2011, Secretary Clinton signed a five-year, $600 million Millennium Challenge Corporation (MCC) compact with the Government of Indonesia on the sidelines of the East Asia Summit in Bali. The MCC compact with the Republic of Indonesia is designed to reduce poverty through economic growth. The compact's three projects are expected to increase household income in project areas through increased productivity, reduced energy costs, and improved provision of public sector growth-enhancing goods and services. The U.S. is committed to consolidating Indonesia's democratic transition and supports the territorial integrity of the country. Nonetheless, there are friction points in the bilateral political relationship. These conflicts have centered primarily on human rights, as well as on differences in foreign policy. The U.S. Congress cut off grant military training assistance through International Military Education and Training (IMET) to Indonesia in 1992 in response to a November 12, 1991, incident in East Timor when Indonesian security forces shot and killed East Timorese demonstrators. This restriction was partially lifted in 1995. Military assistance programs were again suspended, however, in the aftermath of the violence and destruction in East Timor following the August 30, 1999, referendum favoring independence. Separately, the U.S. had urged the Indonesian Government to identify and bring to justice the perpetrators of the August 2002 ambush murders of two U.S. teachers near Timika in Papua province. In 2005, the Secretary of State certified that Indonesian cooperation in the murder investigation had met the conditions set by Congress, enabling the resumption of full IMET. Eight suspects were arrested in January 2006, and in November 2006 seven were convicted. In November 2005, the Under Secretary of State for Political Affairs, under authority delegated by the Secretary of State, exercised a National Security Waiver provision provided in the FY 2006 Foreign Operations Appropriations Act (FOAA) to remove congressional restrictions on Foreign Military Financing (FMF) and lethal defense articles. These actions represented a reestablishment of normalized military relations, allowing the U.S. to provide greater support for Indonesian efforts to reform the military, increase its ability to respond to disasters and participate in global peacekeeping operations, and promote regional stability. Regarding worker rights, Indonesia was the target of several petitions filed under the Generalized System of Preferences (GSP) legislation arguing that Indonesia did not meet internationally recognized labor standards. A formal GSP review was suspended in February 1994 without terminating GSP benefits for Indonesia. Since 1998, Indonesia has ratified all eight International Labor Organization core conventions on protecting internationally recognized worker rights and allowed trade unions to organize. However, enforcement of labor laws and protection of workers' rights remain inconsistent and weak in some areas. Indonesia's slow economic recovery has pushed more workers into the informal sector, which reduces legal protection and could create conditions for increases in child labor. About 60,000 Indonesians seek U.S. nonimmigrant visas each year; the eligibility rate is in the 80% range. Most applicants are intending visitors, and others are ship's crew (12,000), students (3,500), and government officials (2,000). About 1,000 Indonesians immigrate to the U.S. annually; most are newlywed spouses or family members of U.S. citizens. About 24,000 Americans live in Indonesia, mostly in Jakarta on 3-4 year business assignments, but there are 1,000-2,000 Americans retired on Bali, either as permanent or part-time residents. Indonesia treats foreigners relatively well; however, criminal penalties for narcotics or religious offenses are very harsh. The lack of adequate, reliable infrastructure and public services, and a low level of public health, are cautionary notes to Americans coming to Indonesia. The U.S. Agency for International Development (USAID (http://www.usaid.gov/) and its predecessor agencies have provided development assistance to Indonesia since 1950. Initial assistance focused on the most urgent needs, including food aid, infrastructure rehabilitation, health care, and training. Throughout the 1970s and 1980s, a time of great economic growth in Indonesia, USAID played a major role in helping the country achieve self-sufficiency in rice production and in reducing the fertility rate. As part of the U.S.-Indonesia Comprehensive Partnership, the 2009-2014 USAID Assistance Strategy for Indonesia responds to the country's remarkable democratic and economic transformation over the last decade. The strategy moved towards a development partnership joining U.S. and Indonesian resources to further reduce poverty and mitigate global threats such as climate change. Investments target basic and higher education, democratic governance, economic growth, primary health care, the environment, renewable energy and disaster risk reduction. Education: Indonesia has the fourth largest education system in the world, with more than 260,000 schools, 3,000 universities, 51 million students, and 3.4 million teachers. USAID partners with public and private organizations to address quality issues in basic and higher education. USAID investments increase management capacities of education institutions, improve the quality of teaching, and prepare students with the technical skills and knowledge to compete in a global economy. Basic education investments improve the quality of Indonesia's state-run public and religious schools. Working with local governments and communities, enhanced teaching and learning methodologies are introduced to schools which improve student performance in key subjects such as math, science, and reading. Since 2004, more than 1,500 schools, 36,000 educators, and 271,076 students have directly benefited from this assistance including 10,000 students with special needs. In partnership with Sesame Workshop, USAID has invested in "Jalan Sesama," the Indonesian version of Sesame Street. Co-produced in Indonesia, the show helps Indonesian preschool children become more successful in primary school. Since its initial broadcast in 2007, more than 3 million Indonesian children have viewed the show. The reach and sustainability of these investments has been leveraged through partnerships with corporations and universities. Through public-private partnerships, USAID has leveraged more than $2 million in non-U.S. Government funds to support improved basic education. An example is the partnership between three U.S. universities (University of Pittsburgh, Florida State University, and the University of Massachusetts) and 14 Indonesian universities. As a result of the partnership, teachers participating in the program to received academic credit for their work which helped them meet new Government of Indonesia recertification requirements. To improve the quality of higher education, USAID has established the University Partnership Program. The five-year program (2009-2014) is designed to improve the quality of teaching, research, and community service at Indonesian institutions of higher education. Current partnerships focus on a wide range of topics including biodiversity research, child protection and geothermal education. Natural Resource Management: USAID investments improve natural resource management and access to water and sanitation. USAID assistance is part of a larger international effort to achieve the Government of Indonesia's objectives for climate change, sustainable forest management, and low carbon emissions development. This includes commitments within the UN REDD+ (Reducing Emissions from Deforestation and Forest Degradation) initiative. USAID's investments to achieve these objectives are threefold. The first is to build sustainable forest management practices in targeted landscapes. The second is to improve forest governance through spatial planning, climate change adaptation, and low emissions development strategies. Finally investments develop local economies surrounding the targeted landscapes. Assistance targets eight sites in Sumatra, Kalimantan, and Papua, including at least 1.7 million hectares of orangutan habitat. The United States is the largest donor to the Coral Triangle Initiative. USAID supports the Government of Indonesia's leadership in the Coral Triangle Initiative through targeted marine sector investments. The ultimate objective is to restore and enhance marine areas so that they continue to be plentiful sources of food and income for Indonesians. USAID is partnering with the Ministry of Marine Affairs and Fisheries to strengthen the management of marine protected areas and reduce illegal and destructive fishing practices. As part of this assistance package, USAID is also reducing coastal communities' vulnerability to the effects of climate change and other natural disasters. USAID assistance is increasing access to safe drinking water and adequate sanitation in urban areas. This is being accomplished by responding to demands for affordable water and adequate sanitation by communities. Investments improve the ability of water utilities and local governments to provide safe water and sanitation services. Technical assistance is used to develop policies and financing that will stimulate expansion of services to the urban poor. USAID supports the Government of Indonesia's dual goals of expanding the domestic energy supply to provide modern grid service to 95% of the population and reducing emissions by 41% by 2020. The approach addresses four key areas: improving energy sector policy and coordination; increasing development of clean energy projects; increasing linkages between private sector financial institutions and small energy producers; and increasing public awareness of alternative renewable energy. USAID is providing assistance to vulnerable communities that reduces their susceptibility to climate change and other natural disasters while strengthening their ability to respond when natural events occur. Assistance to a community begins with a vulnerability assessment of an area to identify risks and opportunities. The assessment is followed by technical support and education which strengthens governance in local communities. Climate change solutions provided to local communities address areas such as in agriculture, water, and natural resource management. Democratic Governance: USAID is partnering with Indonesian communities, government, and civil-society organizations to meet the challenge of making government deliver. Through targeted investments, USAID is providing assistance in five areas: anti-corruption; rule of law; local governance and service delivery; effective representation by legislatures, civil society, and political parties; and support for peace and a democratic culture. Justice sector reform assistance is being provided to the Government of Indonesia through two USAID-funded projects. The first is sustaining and deepening reforms in the sector to produce a more accountable and higher-performing justice system. The other is strengthening the professionalism, skills, and integrity of justice sector professionals by supporting Indonesia's legal education system and the capacity of civil society to advocate for justice sector reform. Two governance assistance projects contribute to increased integrity and accountability in government. The first strengthens the integrity and accountability of government agencies principally at the national level. The second provides assistance to Indonesian-led, citizen-based efforts to strengthen integrity, promote accountability, and combat corruption. A series of directs grant to Indonesian civil society organizations (CSO) are a key aspect of this project. USAID is supporting Indonesia's efforts to foster more policy-oriented and representative political parties whose members are more effective public servants. This program is working to foster more representative and inclusive parties; strengthen the ability of parties to develop, articulate and advocate policies that are representative of their constituents' views; and support timely and inclusive efforts to create more democratic and credible electoral processes. USAID has been a key supporter of strengthened decentralization and improved local governance in Indonesia for almost a decade. The program will build on the successes and lessons learned from a project recently concluded with the Government of Indonesia to improve the delivery of public services by Indonesian local governments. More effective and efficient delivery of public services in targeted areas of Indonesia will improve citizen welfare and overall quality of life — goals at the center of the U.S.-Indonesia Comprehensive Partnership. Southeast Asia-U.S. Partnership of Civil Society Organizations: Indonesia's vibrant yet stable multi-party democracy stands as an example for other countries in various stages of democratic development to emulate — both within and outside of Southeast Asia. This effort — is supportive of the Government of Indonesia's vision for its regional and global role, as manifested in the Bali Democracy Forum. The objective is to encourage Indonesian CSOs to form partnerships to use their expertise and experiences in developing and implementing a broad range of projects outside Indonesia in democracy, governance, and human rights in cooperation with U.S. and Southeast Asian CSOs. Economic Growth: USAID investments improve production processes, generate employment, and increase the capacity of Indonesian institutions to carry out essential economic functions. Agriculture accounts for 43% of total employment and 15% of the GDP. USAID partners with Indonesian institutions to improve the production and distribution processes for high-value crops such as coffee. Other investments are directed toward biotechnology and improved management practices. Examples include support for a locally-adapted variety of Golden Rice which contains an essential micronutrient, beta-carotene, and a potato resistant to a fungal disease known to destroy harvests. To increase the capacity of government institutions to carry out essential economic functions, USAID provides technical support to numerous government organizations such as the National Council on Biosafety, which regulates biotechnology-enhanced crops in Indonesia. Investments in private sector financial institutions increase access to services for millions of underserved Indonesians. Training in U.S. universities, forging of public-private sector alliances and development of rural financial services are examples of the technical assistance provided. Health: USAID provides technical assistance to improve the availability and quality of key health services throughout Indonesia. Efforts support maternal, neonatal, and child health, and prevention and control of priority infectious disease threats, such as multi-drug resistant TB, HIV/AIDS, malaria, and avian influenza (AI), and Emerging and Neglected Tropical Diseases. The delivery of basic human services at the local level is critical to the health of Indonesians. Under Indonesia's decentralization law, local governments are responsible for the delivery of health care, water, and sanitation. To help improve the health and quality of life for vulnerable populations, USAID supports an integrated program that strengthens the capacity of local governments and partners to improve access to and quality of health services and prevention efforts in the public sector, private sector, and communities. Maternal, Neonatal, and Child Health: USAID maternal and child health programs in Indonesia significantly increased their coverage of care in FY 2008, in some cases doubling the number of women and children who benefited. These programs helped 595,000 women safely deliver babies in the presence of skilled birth attendants; provided essential care to 391,000 newborns; treated 1.2 million cases of child diarrhea; and provided 469,000 children under age five with nutrition services. USAID is currently working to support the Government of Indonesia's goals to reduce maternal and newborn mortality. With some of the highest maternal mortality rates in Southeast Asia, complications such as bleeding and convulsions during deliveries are the major causes of maternal deaths. Asphyxia, or breathing difficulties, and infections account for many deaths in newborn babies. USAID is partnering with the Government of Indonesia and private sector institutions to improve management of complications for the mother and the newborn at health facilities, and helping ensure timely and effective referrals for complications. Support for the global goal of eradicating polio continues, with a focus on technical assistance for surveillance. USAID is also working with the government to improve hospital accreditation. Avian and Pandemic Influenza: Indonesia has the world's highest number of confirmed human avian influenza (AI) infections and the highest fatality rate (82%). As of November 15, 2011, the World Health Organization had reported 182 confirmed human infections and 150 deaths, comprising 33 percent of cases worldwide. The highly pathogenic influenza A virus H5N1 (AI) is widespread in Indonesia. There is additional concern that a new highly transmissible strain of influenza could emerge from Indonesia due to the circulation of H1N1, seasonal influenza, and AI. USAID supports a range of efforts aimed at improving animal and public health to prevent and control avian and pandemic influenza in partnership with the Government of Indonesia and other stakeholders, including the private sector. USAID activities strengthen pandemic preparedness, increase awareness and change risky behaviors at the community level, enhance disease surveillance and response, strengthen laboratories' capacity, and track viral changes to produce novel poultry vaccines. The majority of human infections occur due to exposure at live-bird markets; therefore USAID supports a cleaning and disinfectant program at the markets and along the poultry value chain, a market surveillance program, and biosecurity activities. A main goal of USAID's program is to improve the case fatality rate and strengthen the health care system to treat acute respiratory infections more efficiently and effectively. To date, USAID has established animal health surveillance and disease control networks in Indonesia, trained more than 27,000 village volunteers and animal health officers, conducted 235,000 surveillance visits and reported over 10,000 outbreaks of AI, and met with over 5.4 million poultry farmers and community members to prevent and control AI. A joint Indonesia-U.S.-Australian research project has resulted in a new poultry vaccine for Indonesia. Emerging Pandemic Threat (EPT): Indonesia is also a hotspot for new emerging diseases due to its geography, climate, biodiversity, and close proximity of humans and wildlife. In 2011, USAID launched an Emerging Pandemic Threat (EPT) program in Indonesia to address this threat. The program's goal is the early identification of and response to dangerous pathogens in animals before they become significant threats to human health. The program will enhance local and national capacity for surveillance, laboratory diagnosis, and field epidemiology in both the animal and human health sectors in Indonesia. Tuberculosis: Indonesia has approximately 450,000 new TB cases every year, 64,000 deaths annually, and an increase in multi-drug resistant TB. USAID supports strengthening the National Tuberculosis Program response to TB scaling up diagnosis and treatment of TB and MDR TB, improving referrals between public and private sector facilities; rollout of international standards of TB care; hard-to-reach populations including prisons, underserved areas, and vulnerable groups; laboratory strengthening; drug management; introducing new diagnostic technologies; TB/HIV collaboration; operational research; and community empowerment. USAID support has helped the national TB case detection rate rise from 22 percent in 2000 to 66 percent in 2010, with almost all primary health centers and 30% of hospitals implementing DOTS. Over the past 5 years, 10 laboratories were upgraded and renovated to build their capacity to diagnose multi-drug resistant TB. Indonesia has tested 1,190 MDR-TB suspects, confirmed 511 MDR TB patients, successfully initiated treatment of 374, and cured 21 patients. USAID supports international accreditation for local drug manufacturers and is establishing a program to improve quality medicines which includes enhancing laboratory capacity, collecting data, and increasing advocacy and community awareness about drug quality issues. Malaria: USAID supports integrating prevention of malaria activities into existing maternal and child health programming in Eastern Indonesia. This integrated approach provides malaria diagnosis and treatment and insecticide treated bed nets for pregnant women, while improving rates of pregnancy checkups. Through this program over 135,000 pregnant women were screened for malaria with rapid diagnostic tests, 262,000 received long lasting insecticide treated nets, and 1,237 midwives were trained to detect and treat malaria. HIV/AIDS: There is a concentrated HIV epidemic in most-at-risk groups and a generalized epidemic in Papua. USAID supports behavior change interventions to prevent the spread of HIV and increased access to comprehensive prevention, treatment, care, and support efforts throughout the country. Through USAID community outreach, the HIV/AIDS program has reached 1.7 million people at high risk of HIV infection; 84,600 people have received counseling and testing for HIV; and 132 local organizations have been trained in HIV/AIDS programming. Neglected Tropical Diseases: Neglected tropical disease is a major source of disability, ill health, and cognitive impairment in Indonesia. Indonesia alone accounts for 10% of the global burden of several of these debilitating diseases. Over 28 million Indonesians are infected with lymphatic filariasis (LF) and an estimated 125 to 200 million people are at risk. USAID is providing assistance to support Indonesia's neglected tropical diseases program. This is focused on annual or semi-annual distribution of medicines to affected communities. Most of the drugs would be donated by private pharmaceutical companies, making this a very effective public/private partnership. USAID has supported Indonesia's Ministry of Health in conducting mass drug administration for the elimination of LF in 14 districts, and will again assist with the implementation of the National Plan to Eliminate LF. In 2012, USAID will provide expanded assistance to districts who need assistance to complete their MDAs for LF and additionally USAID has assistance MOH to develop a new policy and plan for the control of Soil Transmitted Helminthes a disease which cause high morbidity throughout Indonesia. Participant Training: Training has long been a key component of the U.S. Government's development partnership with Indonesia. USAID continues to support scholarships to Indonesian students to obtain Masters and PhD degrees from U.S. and Indonesian universities, including in the fields of democracy and governance, environment, health, and education. In the last four years, USAID has sponsored more than 160 students for degree programs, and 162 Indonesians to participate in short-term technical training in the U.S., Indonesia, and other countries. Tsunami Reconstruction: The U.S. Government was one of the first donors to respond to the disaster. Through numerous grants to non-governmental organizations (NGOs), international organizations, and UN agencies, USAID has helped stabilize the humanitarian situation in Aceh, avert a public health crisis, and provide relief services to survivors. Most of the U.S. tsunami relief programs are now complete, although efforts toward the construction of the Aceh west coast highway continue. The U.S. will remain actively engaged in conflict prevention and resolution efforts in Aceh. Department of Justice Office: Gerald H. Heuett Jr. The U.S. Embassy (http://jakarta.usembassy.gov/) in Indonesia is located at Jalan Medan Merdeka Selatan 3-5, Jakarta (tel. (62-021) 3435-9000). U.S. mail to the Embassy may be addressed to U.S. Embassy Jakarta, (insert section name), FPO AP 96520. The U.S. Consulate General in Surabaya is located at Jalan Dr. Sutomo 33, Surabaya, East Java (tel. (62-31) 568-2287). The U.S. Consulate in Medan is located at Jl. Walikota no. 13, Medan, North Sumatra (tel. (62-61) 415-2200). The U.S. Consular Agency in Bali is located at Jalan Hayam Wuruk 188, Bali (tel. (62-361) 233-605. The State Department lifted its travel warning for Indonesia in May 2008 due to objective improvements in the security situation in the country. For information on economic trends, commercial development, production, trade regulations, and tariff rates, contact the International Trade Administration (http://trade.gov/), U.S. Department of Commerce, Washington, DC 20230.